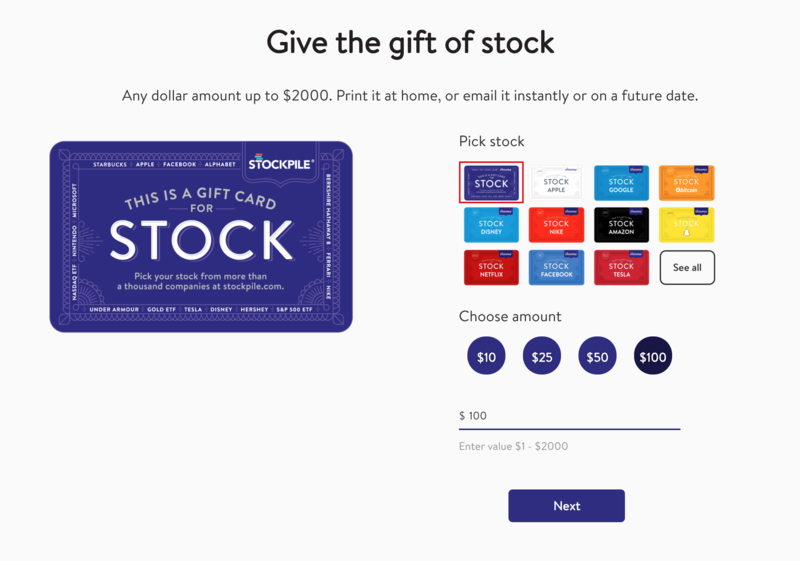 With a Stockpile gift card, the recipient can switch for free to a different stock they think is a better investment. (Kids need adult permission to do this.) Which takes all the pressure off when you’re choosing a stock. And makes for a very happy recipient. Can I leave the gift open and let the recipient choose? Yes you can! If you are checking out on our Gift Card Hub here, you can see that we offer the option to give a generic gift of stock which will allow your recipient to pick the company they love best.